pick one up at a show! 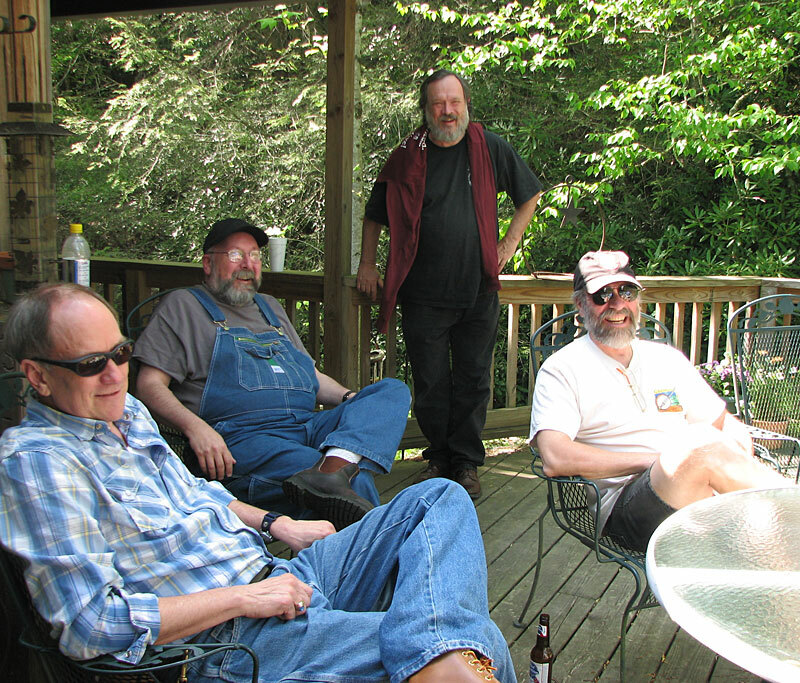 Thirty years afer they last recorded together, three of the original Red Clay Ramblers -- Jim Watson, Mike Craver, and Bill Hicks -- have joined with banjoist Joe Newberry and produced an exciting and entertaining new recording. 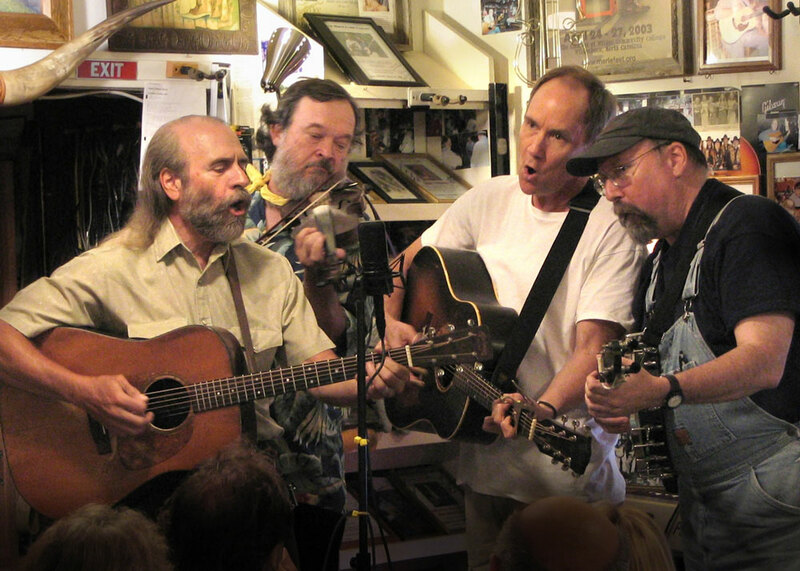 Listening to the 15 tracks set me to thinking back on the band, and reminded me that what always struck me as the heart of the old Red Clay Ramblers' recordings were the goofy, tongue-in-cheek numbers. They might be old tunes or they might be newly-minted by one of the band members, but either way you always knew that behind a tune such as "The Merchant's Lunch" or "The Corrugated Lady," or even a cover of the Charlie Poole classic "Milwaukee Blues," was a group of guys having a whale of a good time and not taking things too seriously. Saying that does not take anything away from their playing. They were and still are, of course, excellent old-time musicians, well-versed in their craft. Their albums always included strong, exuberant versions of fiddle tunes, and that is just as true on this recording. "Sally Ann," "Ship in the Clouds - Red Fox," and "Texas Gals" each sparkles and crackles with energy and gets a propulsive drive from Hicks' fiddle, Newberry's banjo, and Watson's mandolin. Occasionally Craver's piano joins in the fray. That exuberance transfers over as well to the non-fiddle tune numbers. You could also rely on their recordings to include a couple of softer, sentimental tunes, and again, that is true for this album, on which there are no fewer than five. Newberry contributes a nifty, loping tale of wandering in the "Missouri Borderland" and the perils that result. That stands well beside Mike Craver's covers of "My Old Cottage Home," In the Shadow of the Pines," and "You've Been a Friend to Me," all three written by or associated with the Carter Family. Songs from the Carter Family have always been a specialty of Craver's, and few singers can get inside one any better than he. All three songs are beutifully done here, with "My Cottage Home" being my favorite, full of the nineteenth-century parlor sentimentality, perfectly framed by Craver's gentle voice and by some fine harmonies. There's also a lilting cover of "Lowe Bonnie," a traditional tune from Darby and Tarlton's repertoire, and for good measure the boys throw in a four-part a cappella version of "Piney Mountains" that is dead-on and delightful. But, of course, what animates all of those is the spirit of fun, found in such freewheeling and good-time tunes as the Georgia Yellowhammers' "Kiss Me Quick" and "The Man From Tennessee," and in Riley Puckett's pseudo-gospel "I'm Getting Ready To Go." As good as those are -- and they are -- Hicks' "Uncle Charlie's Revenge" goes them one better, detailing some bad times with persimmons, liquor, and fiddles, while Craver thumps away enthusiastically on the piano. Even that pales, however, beside Craver's own minute and fifty-one seconds of madness called "How Does The Glass Eye Work?" It must be heard to be appreciated, but any kind of weird question you may have had about glass eyes is probably in there. A ragtime backing rounds out the fun. 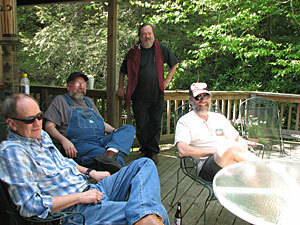 Held up to the pantheon of Red Clay Ramblers' recordings, this one does quite well. It's not equal to their best recordings, for some of the earlier ones are hard to beat. But in terms of elan and verve and all those other words that point to the all-important spirit, You've Been a Friend to Me ranks right near the top. Daniel Coston caught our guys surrounded by John Carter Cash on the left in the doorway, Janette Carter seated behind Mike on the right, and Dale Jett on the right front. Johnny Cash had just finished his next-to-last public performance to memorialize his wife June, who had passed away the month before. Daniel wrote about this night in his book North Carolina Musicians: Photographs and Conversations. Bill Hicks, Jim Watson and Tommy Thompson formed the Red Clay Ramblers in 1972 as a latter-day incarnation of the country string bands of the 1920s and ’30s. 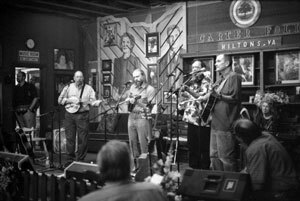 Prolific, audacious and endlessly creative, the ’blers added Mike Craver and expanded their repertoire with original songs and theater. By the mid-1980s, Craver, Hicks and Watson left to pursue other interests. Banjoist/singer/songwriter Thompson died in 2003. 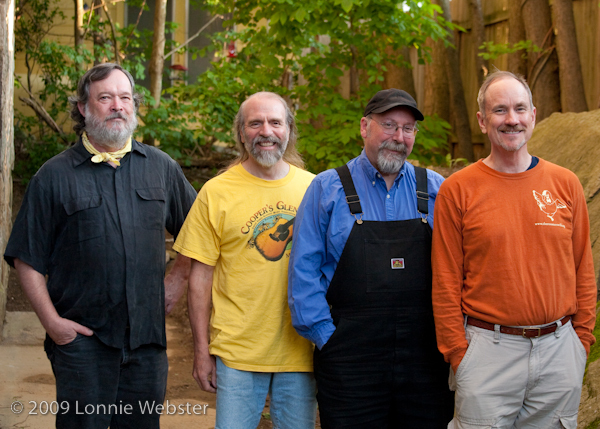 With the talented Joe Newberry stepping into Thompson’s very large shoes, “You’ve Been a Friend to Me” gloriously revives the spirit and sound of the Ramblers’ early years. The album also features original songs from Hicks (“Uncle Charlie’s Revenge”), Newberry (“Missouri Borderline”), Craig Johnson (“Piney Mountains”) and Craver (“How Does a Glass Eye Work?”). 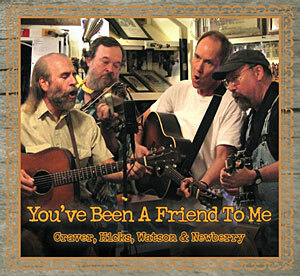 “You’ve Been a Friend to Me” returns to days of yore while keeping the tradition alive with new material, performed flawlessly by a quartet of masterful Piedmont pickers, singers, and composers. Randy Pitts likes the project. 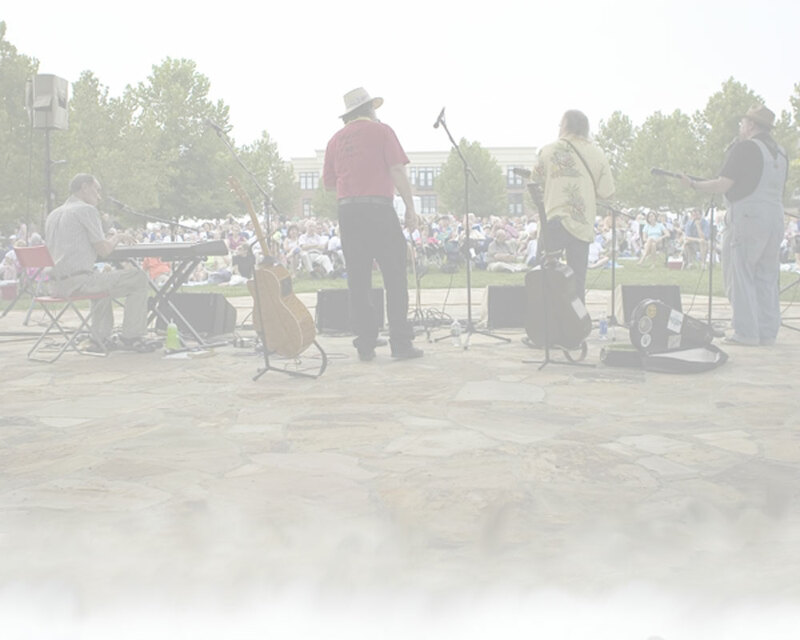 Because I was a fan of the great original Red Clay Ramblers music of the 70s and 80s--who wasn't, and isn't?--I was intrigued by a notice of a public appearance of this band, which includes three members of that great band plus Joe Newberry, and said so. Result? I now am proud owner of this fine CD, though I wasn't able to see the live show--a CD which encompasses examples of the music of greats from the past--"Sally Ann," from the repertoire of Tommy Jarrell, "Kiss Me Quick," The Georgia Yellowhammers, Riley Puckett's "I'm Gettin' Ready To Go," with a cool lead vocal by Joe Newberry, three songs from the repertoire of The Carter Family--"My Old Cottage Home," "In The Shadow Of The Pines," and "You've Been A Friend To Me," (reminiscent of probably my favorite album of Carter Family songs, by Craver, Watson and the late Tommy Thompson, from the 80s) Haywire Mac McClintock's "Tying Ten Knots In The Devil's Tail," with an exquisite vocal rendering by Bill Hicks and Jim Watson, and more, including an, well, interesting original by pianist Mike Craver entitled "How Does A Glass Eye Work?" and another,"Uncle Charlie's Revenge," by Bill Hicks. Lots of fun, losts of great music...if the kids ever ask, What was old time music like?-- give 'em this.